Here at Great Lakes Engineering we have been in the industry for around thirty years, which means that we have been involved with a number of industries and applications throughout that time from chemical etching to providing surface mount stencils for a number of clients. Over the years we have seen the need to provide additional products in order to not only increase our value as a company but increase the value of our customer’s companies as well. This is why we offer the industry leader in electronic assembly in Henkel Solder Paste, specifically LOCTITE GC 10. In what is a true market breakthrough, Henkel has developed the first-ever temperature stable solder paste. 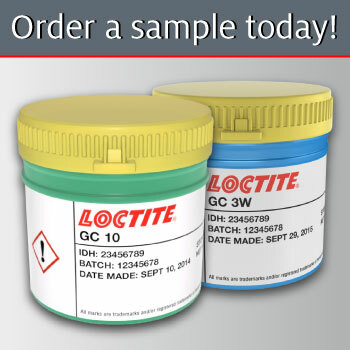 LOCTITE GC 10 is stable at 26.5°C for one year and at temperatures of up to 40°C for one month, which provides benefits throughout the logistics and operations chain – from shipping/receiving to printing and reflow. The temperature stability of the material delivers exceptional performance attributes such as 24-hour abandon times, stabilized and consistent print transfer efficiency, expansion of the reflow process window, more than 95% on-line paste utilization and significant reductions in solder-related defects. All of these advantages combined result in higher yields and more cost-effective PCB assembly. Henkel Solder Paste is great for a number of different benefits such as improved printing, stability, reflow and even paste management. Not only is Henkel Solder paste market leading, it is also 100% lead free and is great for both crossover and traditional manufacturing. As a proud distributor of Henkel solder paste and other Henkel brand products we see the value in offering solutions and products that add direct value to our customers products as without value we know our business would not be so successful. Our knowledge and experience in the manufacturing of thin foil metal parts is second to none and our surface mount stencils are hardly matched. Our reputation as a leader in the industry means that we stand by not only the products that we manufacture but also the products that we distribute. Henkel solder paste is a product that will add untold value to your application. Contact us today to see how Henkel solder paste distributed from Great Lakes Engineering will benefit you today!